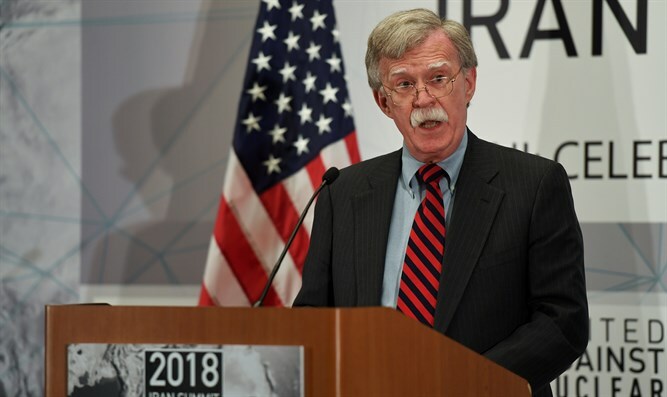 US National Security Adviser John Bolton announced tonight, Wednesday, at a White House press briefing that the US had decided to leave the optional protocol on dispute resolution of the UN's Vienna Convention on diplomatic relations. The protocol provides a mechanism whereby signatory states may take each other to the International Court of Justice to settle diplomatic disputes. Bolton explained that the move was brought about by “the so-called state of Palestine” challenging the move of the US embassy to Jerusalem at the international court, stating bluntly that "Palestine" is not a state. "It's not a state now. It does not meet the customary international law test of statehood," he said. "It doesn't control defined boundaries. It doesn't fulfill normal functions of government. There are a whole host of reasons why it's not a state." "It could become a state, as the president said, but that requires diplomatic negotiations with Israel and others," he added. "We have consistently, across Democratic and Republican administrations, opposed the admission of 'Palestine' to the UN as a state, because it's not a state."